Port of Townsville is preparing large laydown areas for Adani’s project cargo to be stored or partly assembled as the Carmichael coal mine and rail construction draws near. First import cargo for the Carmichael project is expected at Townsville in the final quarter of 2017, according to Port of Townsville Limited general manager business development Claudia Brumme-Smith. “In the first few years we expect around a million tonnes/cubic metres of imports into Townsville,” she said. Project cargo, fuel and general cargo for the Carmichael mine, rail and port project will all be channelled through Townsville. 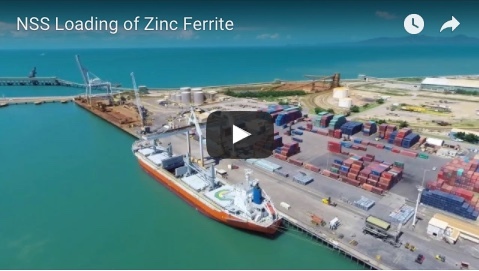 “Due to its proximity and its triple road train access to the mine site, Townsville Port presents a highly efficient and cost-effective import supply chain solution,” Ms Brumme-Smith said. Ms Brumme-Smith said the port’s trade and logistics teams had been working very closely with Adani over the past few years to ensure the port was ready to accommodate their requirements. “A number of infrastructure investments made over the past five years by the Port of Townsville as well as private companies such as stevedores and fuel suppliers have ensured that Townsville Port is well equipped and prepared in anticipation of not only the Carmichael mine project, but also a number of other major projects in the pipeline,” she said. * An $85 million upgrade of Berth 10 completed in 2013 and a $40 million upgrade of Berth 4 which is due for completion in December 2017. Port stevedores have invested in heavy-duty mobile harbour cranes as well as new cargo storage areas and cargo handling equipment. 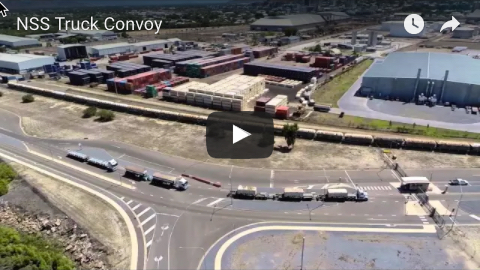 * The $217 million Townsville Port Access Road completed in 2012, which will play a key role in facilitating efficient cargo operations from Townsville Port to mine site – enabling triple road train access from port berths through to the Carmichael mine site. * The $130 million Townsville Marine Precinct, which will be used for barging large pieces of equipment from Townsville Port to Abbot Point, taking trucks off the Bruce Highway. 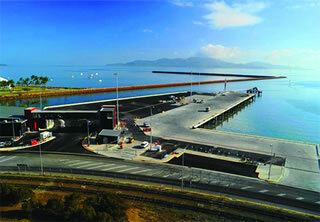 Adani will use existing berth infrastructure at the Port of Townsville. “Adani’s Carmichael mine is a significant project for the Port of Townsville and its service providers such as stevedores, shipping lines, shipping agents, freight forwarders and transport companies,” Ms Brumme-Smith said. “The project will generate strong port activity, which has important direct and flow-on effects for jobs, suppliers and service providers in the region.